The USTA Foundation Brick & Paver Program is a unique and limited opportunity to connect yourself to the game's legendary champions and one of the world's greatest sporting events, the US Open. Your partnership can create a lasting impression on the next generation of kids who love the game and all of its benefits. Help us pave the way for them both on and off the court. Your history is their future. Along the Avenue of Aces® - an eye-catching stretch of engraved pavers at the USTA Billie Jean King National Tennis Center - are ten "neighborhoods", each "home" to a former US Open champion, including Andre Agassi, Billie Jean King, Chris Evert, Stefanie Graf, Ivan Lendl, John McEnroe, Martina Navratilova, Pete Sampras, wheelchair tennis pioneer Randy Snow and now a NEW Doubles Champion neighborhood. You can select where you want to reside - your new home away from home. Please read our policy for the Avenue of Aces® here*. 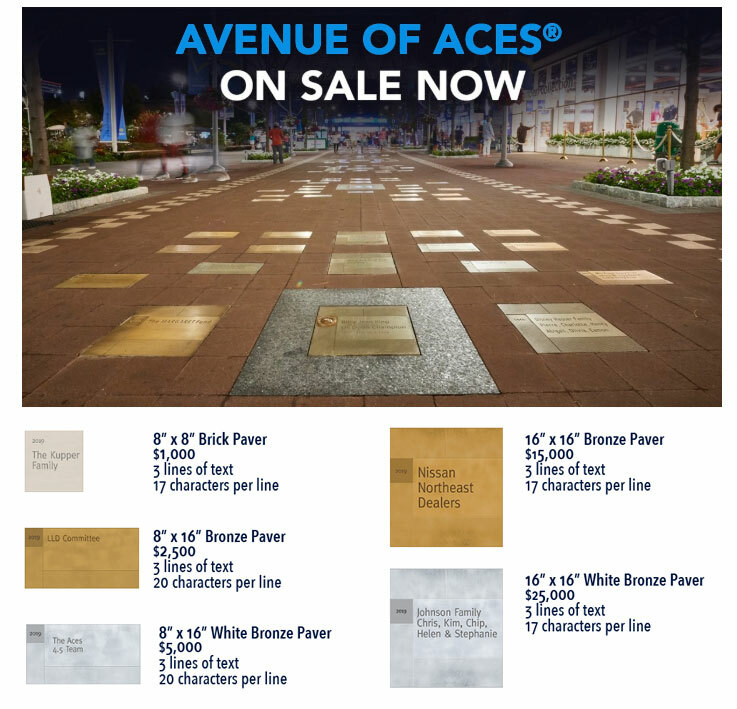 Orders must be received by May 1, 2019 in order to be installed on the Avenue of Aces® in time for the 2019 US Open.